This examination is being given to fill one part-time vacancy in the Dietary Department at San Joaquin General Hospital.and to establish an referral pool to fill future part-time vacancies. Resumes will not be accepted in lieu of an application. A completed application must be postmarked or received online by the final filing deadline. * Supervises and assigns the preparation, cooking and serving of grilled, steamed, roasted and baked foods. * Supervises and participates in the skilled volume cooking of regular and special meals and diets including soups, salads, vegetables, sauces, gravies, entrees, desserts and other foods, performs or monitors the preparation of more difficult items. * Instructs and trains new staff; teaches volume cooking methods to new staff; assigns, reviews and evaluates staff; issues warnings and reprimands, counsels employees, recommends disciplinary actions. * Participates in developing a variety of menu items; researches recipes; calculates proportions of ingredient lists. * Determines amounts of various foods to be prepared for patient trays and cafeteria service. * Maintains order and cleanliness in work areas; maintains records; assists in preparing reports. * May occasionally act in higher level assignments on a relief basis or for training purposes.  Experience: Two years as a Food Service Worker III in San Joaquin County service. Experience: Four years as a Food Service Worker II in San Joaquin County service. Experience: Four years of increasing responsible experience which included one year of supervisory experience in a high volume institutional food service or commercial food service setting. Volume food service work including cooking, preparation, serving, cleaning, sanitation and safety practices; basic units of measure; supervisory methods and techniques; personal computer systems and general office computer software. Supervise and participate in the preparation of food on a volume basis with minimum waste; understand and follow oral and written instructions; train and supervise others in food service work; perform routine arithmetic calculations, including addition, subtraction, multiplication and division; make simple written notations; operate computers and related software; communicate effectively; establish and maintain effective working relationships with others; treat customers courteously. Mobility-Occasional use of a data entry device; frequent sitting, standing or walking for long periods; frequent pushing/pulling, bending, squatting and crawling; Lifting-Frequently 5-30 pounds; occasionally 70 pounds or less; Vision-Constant use of good overall vision; frequent reading/close-up work; occasional color, depth and peripheral vision; Dexterity-Frequent repetitive motion; occasional writing; frequent grasping, holding, reaching. Hearing/Talking-Frequent talking/hearing in person and on the telephone; Emotional/Psychological-Frequent decision making and concentration; occasional public contact; Special Requirements-Occasional overtime and traveling; Environmental-Frequent exposure to noise; heat from equipment; cold.